As anybody who spends a great deal of time at a computer will be able to vouch, the timing of GTalk, Facebook, and other notifications received on a desktop, and the time it takes for that same notification to be pushed to a mobile device, are rarely in sync, with a delay of around three or four seconds occurring in extreme cases. However, a fix for this issue has been developed by a member of the XDA-Developers forum, and although it doesn’t guarantee that notifications will arrive at the same time as they do on your desktop, it does make the retrieval of notifications much more streamlined. Named Push Notifications Fixer, it is the brainchild XDA Senior Member Qlimax, and will help prevent that occurrence whereby your notification gets somewhat stuck in the cloud. The problem is actually caused by a connection timeout between your device and Google ‘s servers, and when this does occur, you do not receive notifications while Android works to reestablish the connection. 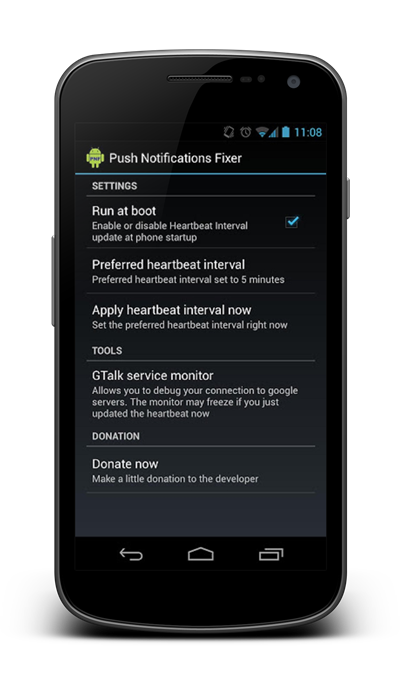 While Google has already considered this with an implementation known as the heartbeat interval to try and prevent this issue in GTalk, the system, which periodically monitors the connection and fixes it, if it is down, is not really set at regular enough intervals in order to be deemed effective. 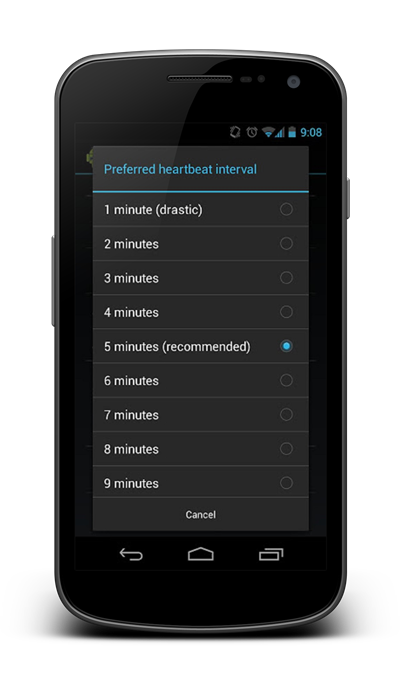 In fact, the heartbeat interval only works its magic every 15 minutes over Wi-Fi, and every 28 minutes on 3G. Push Notification Fixer , however, will basically allow you to set this interval to whatever you like. So if, for example, you were to set it for every minute, your connection would almost instantly be shocked back into life should it be timed out. The regular connection checks, you may have thought, would likely have an adverse effect on your battery life, but the app, which requires root, runs at boot. This not only stops the interval from being adjusted, but means it is not constantly running, and will not be a drain on your precious battery life. If you want a more streamlined notifications system, check the link provided below!